The idea of the itinerant bard is often romanticized in film and fiction, moving from town to town and singing for their supper. That’s the life singer-songwriter Savannah King chose when she gave up a rooted existence for one on the open road. Loud, expressive and multi-layered, local indie-punk band, Sundressed, is used to laying it all bare when they take the stage. So when lead singer and songwriter, Trevor Hedges, was asked to perform acoustically, the performance had a new level of rawness. Loud, raw, and full of layered emotion, the Phoenix-based, indie-rock band reveals a deeper side to their explosive live performances. It’s time now for a Tiny Desert Concert. It’s time now for a Tiny Desert Concert. It’s a series where we bring local Arizona bands and musicians into the KJZZ studios to play a couple of songs and talk about their music. Today, we hear from The Sugar Thieves. Blending a traditional classical music with a large helping of the newly created songs, Driftwood Quintet pushes the boundaries of what classical music can be by mixing Mozart with modern compositions. Tiny Desert Concerts is a series in which we bring local bands and musicians into the KJZZ studios to play a couple songs and talk about the music. This month we hear from koleżanka — a four-musician band fronted by Kristina Moore. Formed five years ago, The Stakes take elements of jazz, R&B, hip-hop and sometimes classic rock in their music. And it all culminates in a dynamic live show that is both rehearsed and improvisational. A Tiny Desert Concert is when we bring local bands into the KJZZ studios to play a couple songs for us and talk a bit about the music. This month we did things a little differently, and for the first time our tiny desert concert was actually in the desert. Phoenix singer-songwriter Justin Moody performed in a wash in South Mountain’s Box Canyon. Welcome to the Tiny Desert Concert. 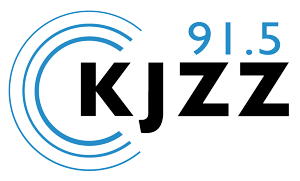 This is when we bring local Arizona bands into the KJZZ studios to play a couple songs for us and talk a bit about the music. For this month, we hear from Flamenco Por La Vida. Comprised of two guitarists, a bassist and a drummer, Nanami Ozone's soul is in garage rock, but their sound is a mash of beachy chords that would fit well at any summer party. The band’s members say the ease of their sound comes partially from their friendship, which you can hear in their writing. Self-described as up-tempo but down-hearted, the heart and soul of The Blood Feud Family Singers is the poetic lyrics that pluck at your emotions, and the bluesy-folk tunes take a walk down the dusty road of love and heartbreak. The SunPunchers is known for creating a blend of warm, open Americana music, with gorgeous vocal harmonies, full guitar sounds, and a delicate pedal steel. The Show's host Steve Goldstein spoke with the band’s frontwoman Betsy Ganz. Las Chollas Peligrosas is less than a year old, but already has a strong following. The group is known for blending different styles of Latin music, as well as American roots styles like blues and folk, and singing songs in both English and Spanish. TinyDesert Concerts are when we bring local bands into the KJZZ studios to play a couple songs for us and talk a bit about the music. Valley-based band Cheap Hotels came to play for us, and The Show's host Lauren Gilger spoke with one of the band's frontpeople, Ian Wilson. North Brother Island’s name comes from the tiny island in New York’s East River that was the site of a horrific shipwreck in the early 1900s, in which more than 1,000 people died. It’s lesser-known stories like this one that inspire its members to to craft their songs. Though Walker is just one person, she uses a guitar, two tape decks, and a number of audio effects to process and layer her sounds which include field recordings she’s made of natural and ambient sounds. Language Barrier's music is somewhat poppy, with tinges of sadness and thoughtful lyrics. Qais Essar is one of eight acts from Arizona playing in this year’s South by Southwest festival in Austin. Foreign Language has a unique sound that can be tough to pin down. It’s soft but rich, and ethereal but substantive. The Rebel Set is a local band that features driving drums, chunky guitar and the unmistakable sound of the farfisa organ. The Senators are not just a group of people who hang out in capitol buildings – it’s also the name of a Valley band. Numb Bats are an Arizona three-piece band and its members describe their music as a 1990s revival. The Arizona band decker. is something of a mixed bag. The Pistoleros have been a fixture of the Valley music scene for over 20 years and is probably best known for its role in Tempe's jangle pop scene of the 1990s. Now the band is releasing its first album in 10 years, "Shine." American Longspurs’s music fits into lots of different categories and incorporates elements of bluegrass, modern country and other Americana sounds. Strange Lot is a three-piece psychedelic band with a hint of garage rock based in Phoenix. Sister Lip's music is hard to categorize. The band joined us in studio to talk about their new album, "Thanks for the Mondays."